Minimum let period in July and August 28 nights, at other times two weeks. 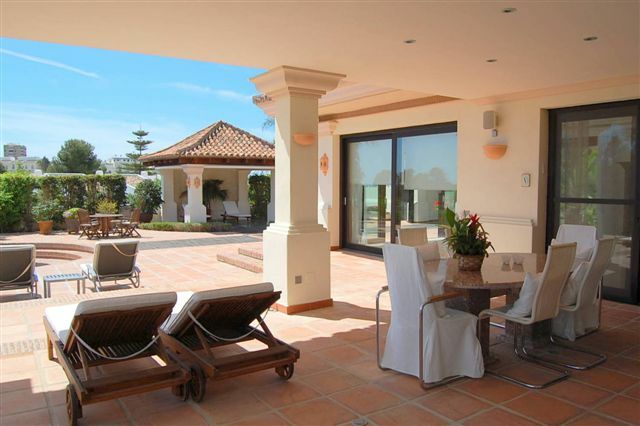 This is a superb and substantial villa with a private tennis court, situated in front line golf position in Nueva Andalucía. 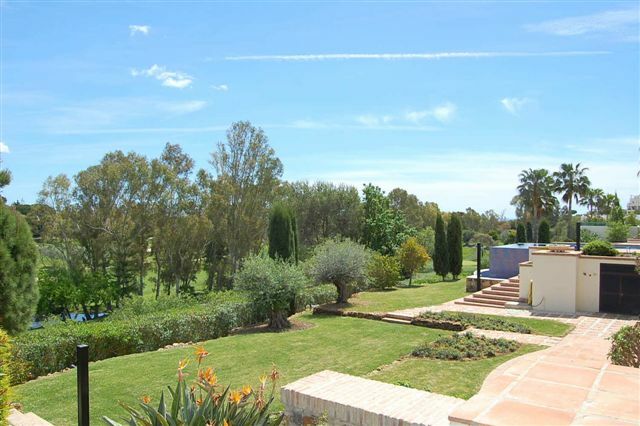 It has wonderful views over its landscaped garden, Aloha golf course and to the beautiful La Concha mountain and is a short walking distance to many cafés, restaurants and supermarkets, and very short drive to Puerto Banús and the beach. In terms of size, furnishings and equipment one of the best offered for rental in the area. Accommodation is air conditioned throughout with floors in cool marble and wood. Entering the house is the hall and cloakroom. The large living room has a central feature fire place in the middle of the room and a dining area and leads out to the extensive terrace, infinity pool and garden. On the same floor are two bedrooms with en-suite bathrooms, fully-equipped kitchen and an independent laundry room. The master suite upstairs has two walk in wardrobes, panoramic bathroom and, besides it, a room used as an office. All rooms have terrace access. The ground floor has a huge bedroom, bathroom and a special sauna. In addition there is a separate apartment on this level with 2 bedrooms, bathroom and kitchen. 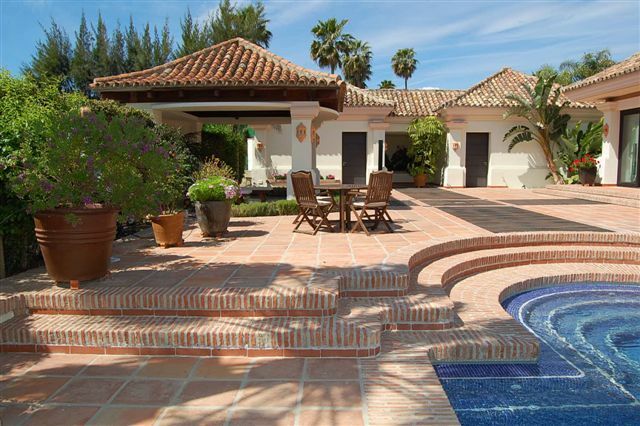 In the garden there is the infinity pool, a pergola, a private tennis court and private putting green. Includes gardener, pool man and cleaner, once a week during 6 hours with change of linen and towels.